In our company work experienced and driven people with very great attention to the product, making the best quality products. We have our own Technical Service Department so we can ensure that any technical failure can be solved immediately to guarantee a constant production. Our production coördinator and technical specialists monitor that everyone can do their work. Every day our quality coördinator does several daily checks to ensure that the production proces and final products meet the standards. Danpak products guarantee maximum shelf life and quality. 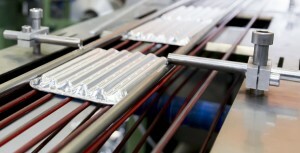 The walls of our aluminium trays have the optimal thickness required for heat resistance and retention. That is why our trays and containers are suitable for use in sectors where taste must be preserved until the ‘best before’ date. The European Aluminium Foil Association (EAFA) has done extensive research to the effects of the use of aluminum in the microwave and has concluded in its report that this way of heating is harmless for food and the microwave. When heated through pasteurization (2 hours at 100 ° C). There should be taken into account the fact that aluminium can discolor darker. This is a natural feature as soon as aluminum comes into contact with moisture. Not suitable for salt and sour products. Hygiene is of utmost importance in the food industry, which is why Danpak has put an effective quality control system in place. Production materials are delivered sterile and carefully processed into an end product that conforms to all hygiene requirements. Danpak adheres to all ISO and HACCP guidelines, and for a long time we are BRC-Iop certificated. In short, Danpak makes sure you receive a completely safe and hygienic end product. Download a copy of our BRC certifcate on this page. In all cases in which Danpak acts as offeror or supplier, our offers, assignments given to us and agreements concluded with us are subject to the METAALUNIE TERMS AND CONDITIONS. Referred to as the METAALUNIE TERMS AND CONDITIONS, filed at the Registry of the Rotterdam District Court on 1 January 2014. 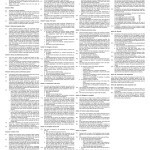 Download the terms and conditions of the Metaalunie on this page.